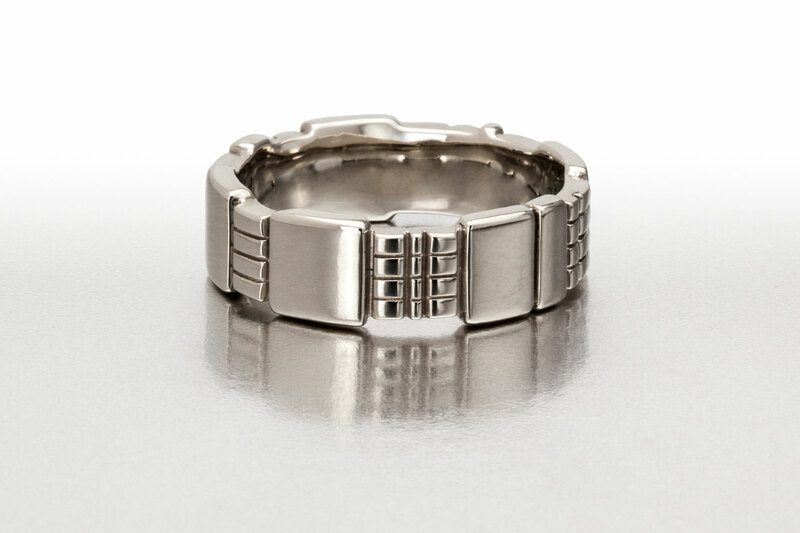 This 18k men’s band is shown in white gold. 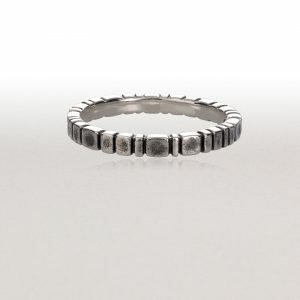 This ring is shown in white gold in stock size 10. 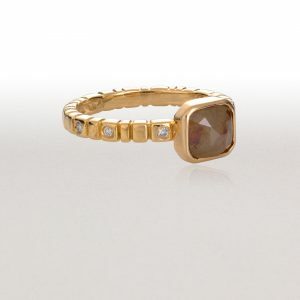 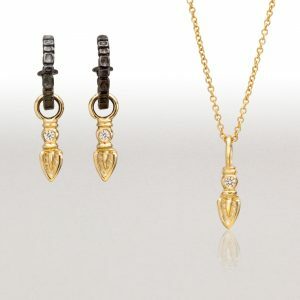 It can be ordered in yellow, white or pink gold.